For our most invested Chamber members. Levels include a combination of membership, event sponsorships, and exclusive incentives. Thank You to our 2019 Community Leaders! This is our largest event of the year. It is full of networking, camaraderie and fun! 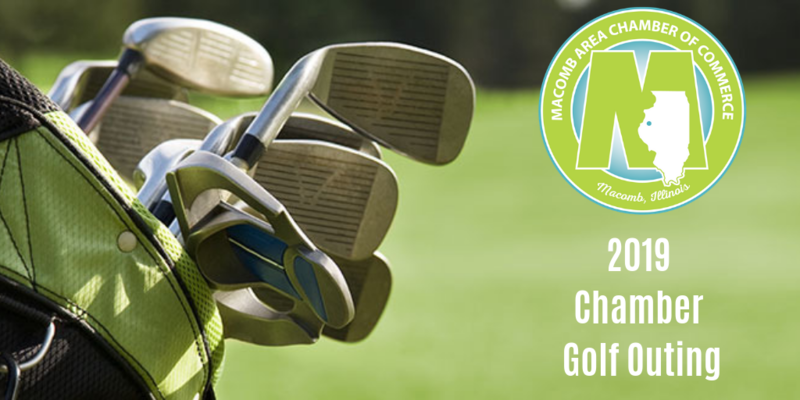 The 2019 Golf Outing is at the Macomb Country Club. Projected Attendance: 100+ golfers, plus 25+ volunteers and staff. Audience: Business leaders, their clients and Chamber volunteers. Featured on all event promotions, invitations, event materials and Chamber website/social media as Event Sponsor. Golf balls for event will be printed with your logo on them. Provide a $25+ Chamber Gift Certificate or other prize to a winner of a hole contest (such as longest drive, putt, etc. - contests vary by hole). April 31, 2019. Macomb Country Club. Speaker: Rick Mattoon, Senior Economist and Economic Advisor at the Federal Reserve Bank of Chicago. Audience: Business leaders, high-level business professionals, elected local officials. Topics of interest include technology, human resources, marketing and finance. 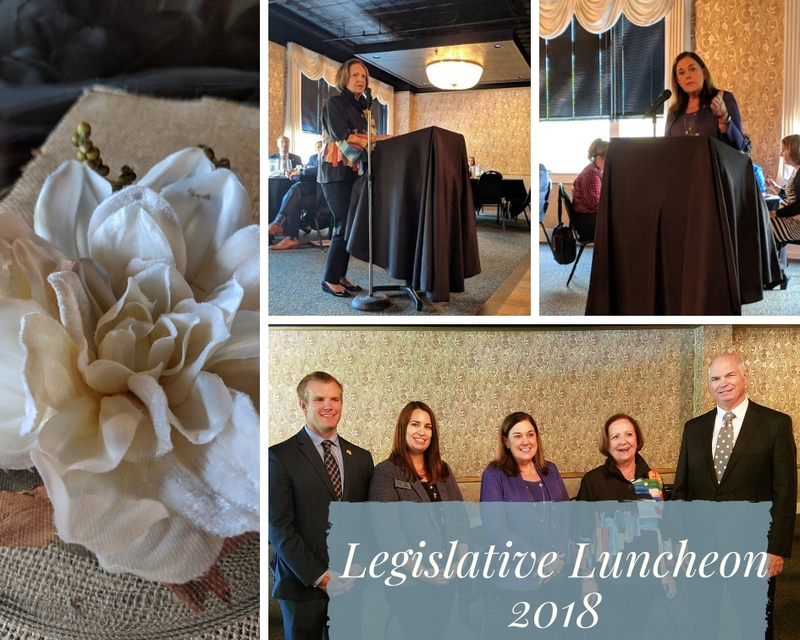 Held as a free event for Chamber members during the lunch-hour or before business hours – lunch or breakfast included (non-members may also attend for a small fee). Projected attendance: 25-50 per event. Audience: A variety of businesses and employee levels, from front-line to owner. Be informed and engaged with elected officials concerning critical legislative issues for Western Illinois. Audience: Business leaders, high-level business professionals, elected state and local officials. Support our growing Shop Macomb/#keepitinmacomb campaign and help raise awareness of the importance of shopping locally and keeping money in our community. Two Shop Macomb/#keepitinmacomb 3x6 banners or snap posters to hang at your business. One Shop Macomb/#keepitinmacomb 3x6 banner or snap poster to hang at your business. 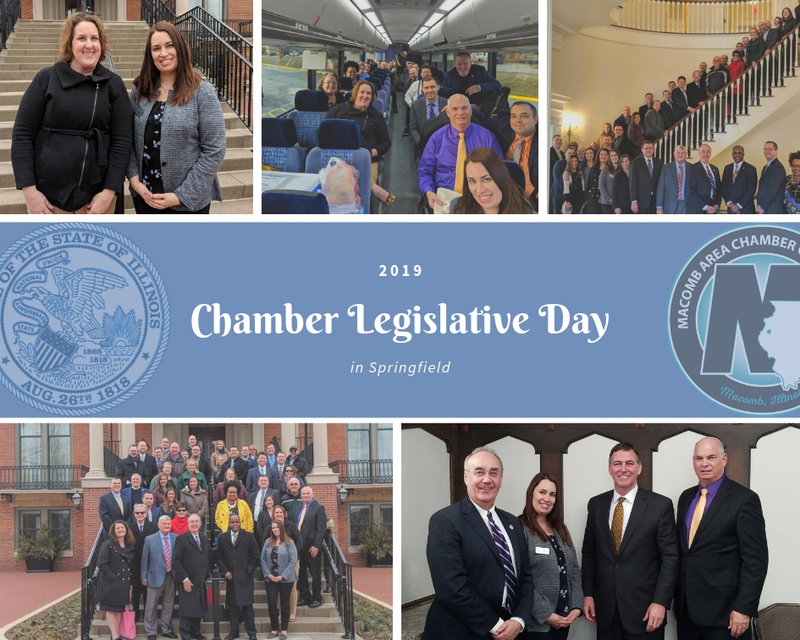 Chamber members from the Macomb area will travel to Springfield to meet with Illinois legislative leaders to discuss critical issues for our region. Projected Attendance: 60+, plus exposure to a number of state and local legislators. Top billing logo recognition (publicity, event signage, program, Chamber website/social media). *Sponsorship Credits must be used within one year. Sponsorship Credits shall not be rolled over to the next year. Sponsorship Credits shall only be applied to sponsorship opportunities for events and programs (not dues or event tickets). ** See our Membership Investment Schedule for more information on pricing. If your membership investment is greater than $500, you will receive a $500 discount on your total investment.